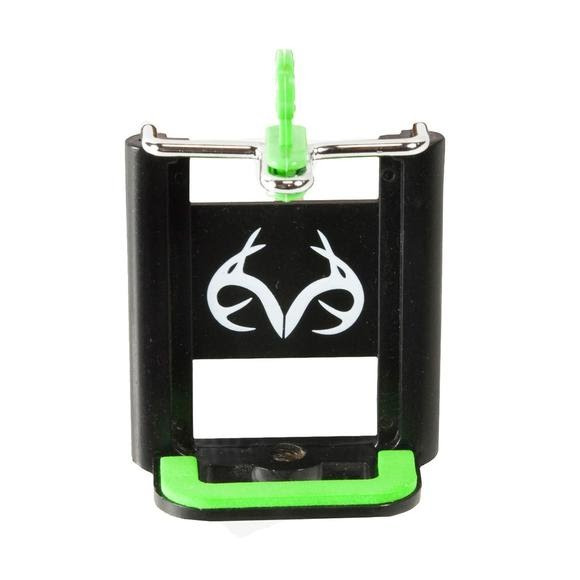 Realtree's EZ Pic holds your smartphone securely so you can get that perfect shot. It is lightweight and mounts on the EZ Mount with the standard 1/4 inch threaded ball joint. Realtree &apos;s EZ Pic holds your smartphone securely so you can get that perfect shot. It is lightweight and mounts on the EZ Mount with the standard 1/4 inch threaded ball joint. Measurements Holds Any Smartphone, attaches to mount or tripod with 1/4" threaded ball joint.